Welcome to the Gateway Center and Coliseum page! Our goal is to provide quality service and support to make your experience at each of our venues a positive one. Please click the tabs above to learn more about our multi-level banquet facility The Gateway Center and our over 9,000 seats multipurpose event facility. Gates will open 1 hour prior to the ceremony start time. 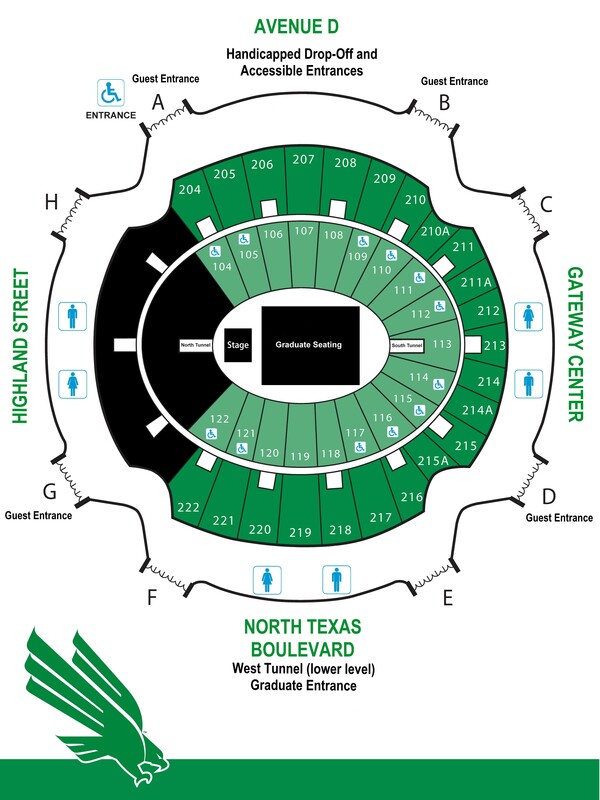 Guests will enter Gates A, D or G. Graduates will enter the West Tunnel on the lower level, off of North Texas Boulevard. All bags will be checked by trained staff prior to entering the Coliseum. The Coliseum does not allow seat saving. Commencement seating for friends and families is on a first-come, first-served basis. Accessible seating is available along the top rows of the lower seating area. These areas are designated as such. Please speak to an usher if you need assistance. Coliseum: 601 North Texas Boulevard | Gateway Center : 801 North Texas Blvd.